Giant tech startup incubatory "space" Station F, which describes itself as the world's largest startup campus, officially pulled the dust covers off the scatter cushions last week in Paris's 13th arrondissement. The 34,000 m2 building will host over 2,600 entrepreneurs – who have fought fiercely for their places – inside 26 different accelerator programmes. Some are offered by Station F, while others are offered by oh-so-generous corporate behemoths including Facebook and Microsoft. The idea of creating a tech newbie hub in Paris came from its backer, telco billionaire kingpin Xavier Niel, after seeing similar campuses such as the Google Campus in London and the Factory in Berlin. Construction on the site of an abandoned 1920s old railway station began in October 2014. "People had the impression nothing was going on [in Paris]," Station F director Roxanne Varza told The Register. Varza says the campus offers an "ecosystem" that gives startups all the resources they'd ever want "under the same roof", so they don't have to go hunting outside. Relevant amenities include servers, access to other entrepreneurs, workshops, investors and funds as well as FabLab machines for prototyping. Some of the accelerator programmes are free, some paid, while others require an equity stake in exchange for a stipend, she says. They're all screened for corporate interests: Station F examines the programmes and coaching – to make sure, for example, that startups won't be forced to use a company's product. The potential startups are also screened to make sure that they're serious. 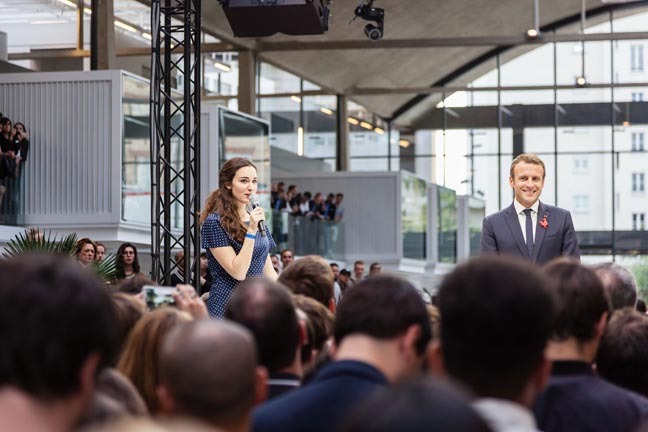 They range in age from a mere six months – in Station F's internal Founder's Program for early stage startups – to three to five years old companies under a programme for international firms wanting to "expand" into France. In the "minimum three-month-old" Founder's Program alone, Station F received 2,300 startup applicants and narrowed the pool down to 200. 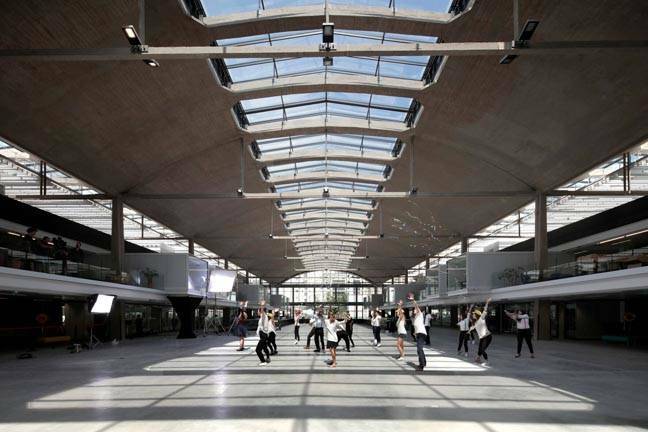 Given the sheer volume of participants in Station F, Varza believes that there's a "statistically good chance" there will be successful startups. Angelique Mohring, CEO at GainX, a software startup focused on innovation which has recently joined the Microsoft Accelerator in London – told The Register "it could be absolutely phenomenal in France." She cautioned, however, that startup accelerators in general are not a foolproof path to success. Accelerators first have to strike a balance between branding and useful programming, she says. Mohring, who has previously mentored startups in Silicon Valley, New York, Toronto and London, said she'd noticed that some startups can also enter accelerators without knowing exactly what they want – and said they should go in with a clear goal and metrics. "It would be very easy to get lost," she said. Early-term or seed-stage startups might spend all their time networking or socializing without having the capacity or experience to scale their businesses. Then there's conflicting advice from mentors they might have to navigate through. Varza says Station F doesn't have specific rules about hosting demo days (which Mohring says in some cases can be more about branding for accelerators then startups getting work done). But she argues that because Station F is such a large, open space, startups would naturally be inclined to do work. You know those Ts&Cs you used to offer on your website? Yes that one.